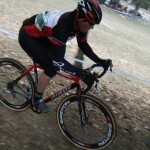 Junior UCI Trade Teams in the States! California’s Whole Athlete Cycling Team has become the first UCI registered Junior/u23 mountain bike team in years. This comes in the wake of the USA Cyclings decision to end its U23 National Team. Another junior team from Arizona, called Team Super Nova is also in the process of signing up as a UCI trade team. This costly license allows the team to send racers over seas to compete in the World Cup Series. Also exciting for this season is the Windham, New York World Cup Finals. As of last year, World Cup races have included junior races at the event, but to enter, the juniors must be on a roster of a UCI team, which has been historically rare. This is exciting stuff for US junior mountain bikers. 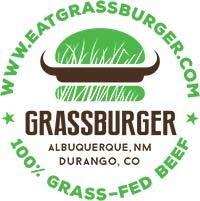 Q: What brought you to Durango? Did you race in college? 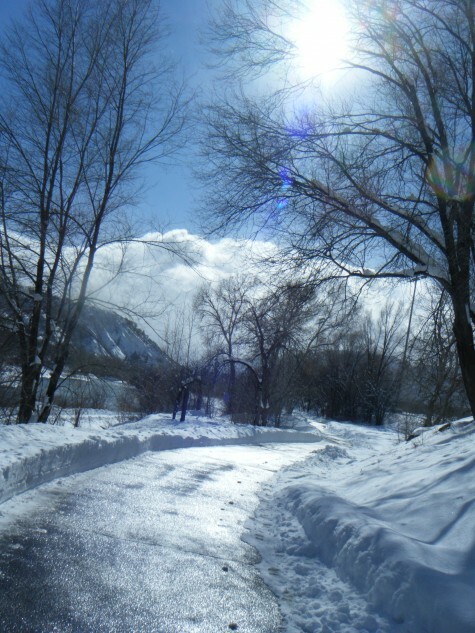 A: Fort Lewis College, Skiing and mt. 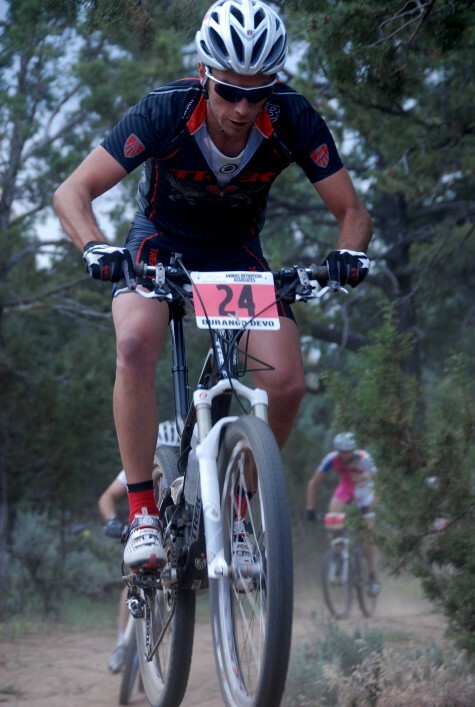 bike brought me to Durango-Yes, I raced in college, in fact, Fort Lewis College mt. bike team try outs was my first mt. bike race ever in 1996! I raced the C team Freshman year, B team sophomore year and the A team my junior and senior years! 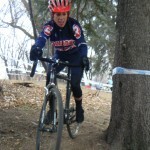 Collegiate racing is the reason I became a bike race! Q: What year did you earn your Pro mtb license and how did that come to be? 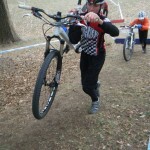 A: I earned my Pro mtb license in 2002 and I attribute that to collegiate racing! I just worked hard and every year I moved up through the sport class, expert, semi-pro until I had the results to upgrade to pro. Q: You helped develop the Health FX team, what led to that and how has it developed into what it is today? 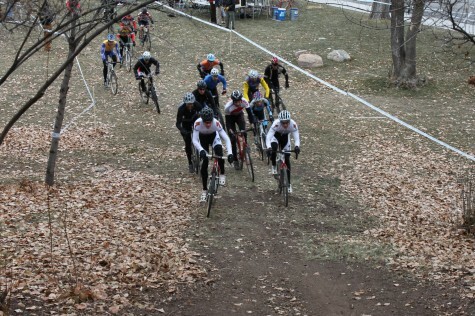 A: The Health FX team started with a group of local Durango fellas that just loved/wanted to race bikes. We were sponsored by Trek Bicycles from the beginning and with their support, along with local businesses as sponsors we morphed into “Team 505 Trek”. The team was strong and results were plentiful; because of that we were able to raise more money and get more people on the team. We now have 3 main sponsors and half dozen smaller sponsor’s that make up the “Directory Plus/Zia/Trek team today. We still have a core group of 4-5 riders that were on the Health FX team and make up a majority of today’s team. Q: You have been a pretty solid ski racer the past 2 seasons, what is it you enjoy most about the sport? A: I enjoy ski racing in many disciplines so much that it is hard to pin down the one thing I enjoy most about it. Besides nordic (classic and skate) racing I recently have been competing in a local Colorado Randonee Race series that takes me to all the sick Colorado ski towns. Randonee racing comprises of skinning up (usually a ski area), skiing down, boot packing with your skis on your back and even some fixed rope ascents (every time I get done with one it reminds me so much of a mt. bike race). I love the balance that skiing/ski racing gives me; it’s a great opportunity to build muscles that become atrophied during cycling season. I also thoroughly enjoy the solitude that comes with training for ski races, rather it be backcountry skiing or just getting up to the golf course for a skate/classic shesh. Q: The Moab Super D was won by you in convincing fashion last October, how do you train for this sport and what kind of bike does it take? A: Trek was able to hook me up with a “Remedy” 9.9, that was definitely an advantage over the competition as that bike has over 5.5″ of travel, weighs under 26lbs. and pedals just as fast as it descends. I feel that I did so well in the Moab Super D as I was riding dirt bikes (recently got a yz125) and racing cross. 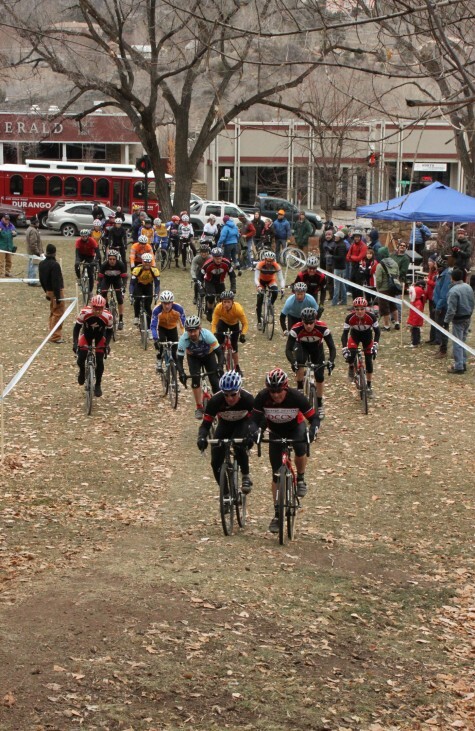 It was the perfect balance of downhill (moto) training with uber fast high end cycle cross practices/races I was competing in at the local level prior to the Moab win. 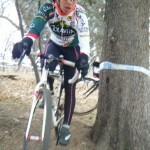 Dirt bikes and cycle cross racing seems to me to be the best of both worlds for super D training. Q: What advise do you have for the junior cyclists in town? What path would you take, in hindsight, to becoming a pro cyclist? A: The advise I have for junior cyclists is hard work, persistence and patience. The path to racing pro takes years of training/racing and understanding what works for each individual athlete. In hindsight I wouldn’t do anything different as I like balance in my life; I love racing but I love to do many other things in my life. 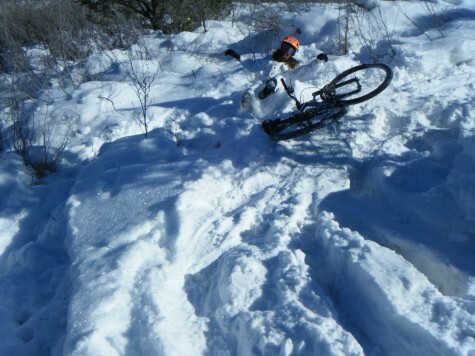 I don’t stress/worry about base in the winter months, I ski-backcountry, skate, classic, Rando Racing etc. I have never been the “fastest guy in town” but I know that everything I do (including bicycle racing) makes me a very well rounded and balanced person/athlete. Q: Who are your favorite cyclists of all time, roadie, mtber? How about heros outside the sport? A: I have so many favorite cyclists, but some of my favorite include: Fausto Coppi, Eddy Merckx, Julie Furtado, Tinker Juarez, John Tomac, Cadel Evans,Chad Cheeney, Ned Overend, Travis Brown, Lance Armstrong, Todd Wells, Anthony Colby, Alison Dunlap and last but not least Marco Pantani. Some of my heroes outside the sport include my parents, John Elway, Scott Shmidt, Glen Plake and many more! Snowdown Roller Races Are Cancelled! Never mind, this has been cancelled!. Snowdown begins next week and that mean another round of roller racing. This years event takes place at the Smiley Building, wednesday night at 6pm. Here in Durango, roller races are run a tad bit different than elsewhere. Riders have 15 minutes on the bike to travel the greatest distance. The event is free and sign-up takes place 15 minutes before. Local cycling hero, Chris Wherry has changed professions, from road cycling with the nations fastest racers to working hands on with Durango’s wide range of enthusiasts. The Hub opened for business in early January and is building steam. Devo coaches Chad and Annie Cheeney have been quick to dive in and are digging the grassroots feeling to the cycle center. Devo will be offering a pre summer season base training program starting mid february to get the legs pumping, so stay tuned. 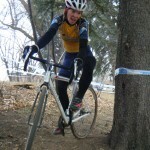 Check out the trailer to the film, Women of Dirt closely and you will see Joan Walker of the DEVO U19 Ladies team at the 2009 National Championships in Sol Vista, leading out the start of the cross country race where she finished 3rd. DEVO is in the process of bringing the film to Durango. If you are interested in helping with the process please contact chad@durangodevo.com. Durango locals and Dads of current and former DEVO athletes, Mark Pastore and Mike Elliott have started a new business in town to provide accurate timing for the many sweet outdoor events in the four corners region. Appropriatley named, Four Corners Timing. They can be reached at 385-4571 or 769-8655. Here is an example of their most recent work. 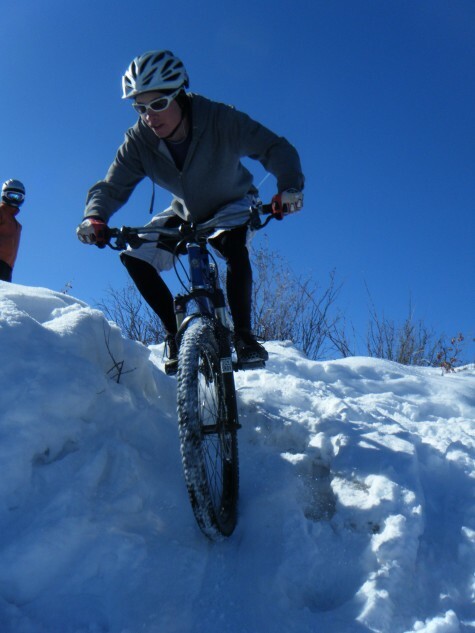 The 3rd annual Tour de Ski is back this weekend in Durango. 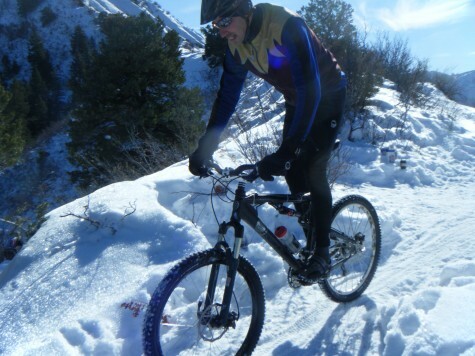 Saturdays endurance cross country ski race is a benefit for Trails 2000 and Durango Nordic. The course takes place below lift 8 at Durango Mountain Resort and is epicly sweet. There are several choices of distance with the big guns doing a super burly loop that climbs up to the Love Shack and then descends an equally burly downhill. Check this out for more info. We do not quite have it nailed down yet, but the DEVO Team Race Schedule should be here in the next couple weeks. The DEVO team dedicates 1 team race a month from April to August, to travel to and camp or condo as a team. The idea of this is to help junior athletes learn how to manage themselves throughout a race weekend. It is super fun and is looked foreword to by all. If you need to know the stats from Bend, Oregon cross action this weekend, click this area. 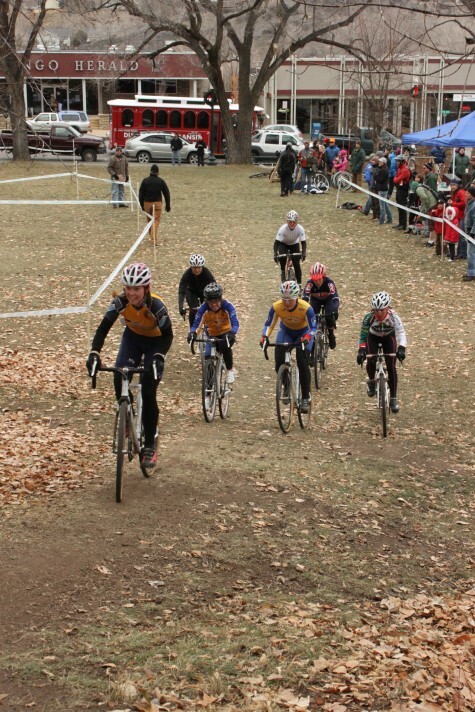 This week, over 40 Durango local cyclocrossers will be heading west to take on the nations top riders at the 2009 US National Championships of Cyclocross event in Bend, Oregon. Age group racing begins on thursday and runs through saturday. 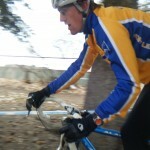 The collegiate racers compete on sunday as do the men’s and women’s elite. 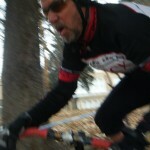 Singlespeed shreders race friday morning and the Under 23 categories are on saturday. The weather is looking super chilly and has the chance of rain and snow. Sounds like cross. This past weekend saw the end of the FLC Cross Series with the Muscle Cross, at Buckley Colusseum on saturday and the FLC Cross Finals up on the FLC campus. Saturday it was Teal Stetson-Lee taking the win over Carmen McNelis and Ben Sonntag for the men.